Good to go: The US Air Force on Tuesday declared its first squadron of F-35As ready for battle, 15 years after Lockheed Martin won the contract to make the plane, Defense News reports. To reach the milestone, Hill Air Force Base needed at least 12 combat-ready jets capable of deploying globally to provide what officials have termed basic close-air support, air interdiction, and limited suppression and destruction of enemy air defense missions. Also required were enough pilots, maintainers, and equipment to support the squadron. 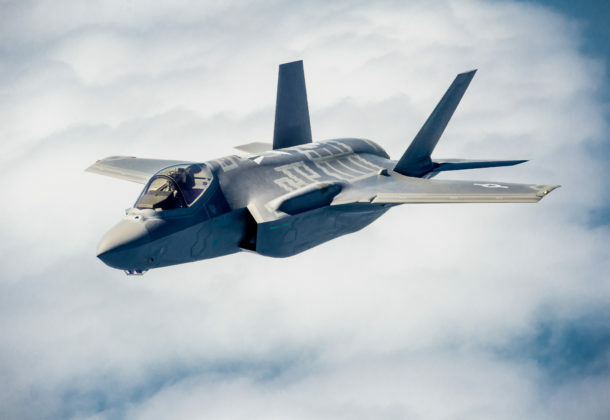 Lockheed Martin’s F-35 fighter jet completed its first live air-to-air kill test on a drone over a military test range off California’s coastline last week, Executive Biz reports. Lockheed said Maj. Raven LeClair, US Air Force test pilot, fired an AIM-9X missile toward an aerial drone target through the use of the plane’s mission systems sensors’ identification and targeting capacity to track information to the missile and pass on target information to the missile. Northrop Grumman Corp.’s autonomous Global Hawk unmanned aircraft system has surpassed 200,000 flight hours, reinforcing its status as the most effective high altitude, long endurance, intelligence gathering aircraft in the world, the San Diego company announced. Global Hawks operate at altitudes up to 60,000 feet for more than 30 hours, surveying thousands of square miles on a single mission. The Budget Control Act will constrain the next president regardless of who wins the White House in November, says fiscal expert Todd Harrison in a Breaking Defense report. Harrison says coping with the budget caps depends much more on who controls Congress — above all on whether Reagan defense hawks or Tea Party budget hawks dominate the Republican Party. Job number one for the new administration? Strike a deal with Congress, Harrison says. With the threat landscape having shifted from tensions between two superpowers to rogue nation-states and terrorist organizations, DoD’s policy on control of information has undergone an overdue rewrite, recognizing the need to share more information among members of the intelligence community, Homeland Security and law enforcement. But with a shared repository of information comes new challenges, including regulating access to sensitive data, Defense News reports. “What we’ve done is, for the first time, established rules and procedures and responsibilities for both the hosts and the participants in these systems,” Michael Mahar, senior intelligence oversight official at DoD, said at the 2016 DoD Intelligence Information Systems conference Aug. 1 in Atlanta. Naval Air Systems Command, similar to other organizations within the Defense Department, is “not a fan” of lowest-price technically acceptable contracts because the structure does not offer flexibility, according to a Navy official, Inside Defense reports. Douglas Dawson, the command’s tactical airlift, adversary, and support aircraft program manager, said July 20 during a presentation at Naval Air Station Patuxent River that most of the contracts orchestrated in his office follow the best value structure. Thousands of Muslims have served in the military since at least the Civil War, but they make up a disproportionately small portion of the force. Just 3,939 troops currently list their faith as Islam, according to Pentagon data, reports The New York Times. The Pentagon does not track how many Muslim troops have died in combat since 2001, but they have served in all branches — as officers, combat troops, interpreters, and intelligence gatherers. Some interviewed by the Times said that life in the military became harder after the Sept. 11 attacks. The Russian Defense Ministry has plans to launch a new orbital surveillance system aimed to bolster the reconnaissance capabilities of the Aerospace Defense Forces, DefenceTalk says. According to military experts speaking to the independent online newspaper Svobodnaya Pressa, the launch of the new satellites is expected to significantly enhance the Russian military’s space-based surveillance capabilities, especially their ability to watch the movements of US aircraft carriers. Russia currently lags behind the US in the number of satellites it operates. Trend lines point to continuing challenges in the VA medical system, The Washington Post reports. Demand for Department of Veterans Affairs services is going up, but so are losses among the agency’s health care providers. Annual VA outpatient medical appointments rose by 20 percent, or 17.1 million visits from fiscal 2011 through 2015, according to a new Government Accountability Office report. Also increasing during that period was the number of staffers in five critical occupations who left the agency. Part of the Patuxent River remains closed after 2 million gallons of sewage blamed on grease blocking a pipe spilled into the river Friday, SoMDNews reports. The river is closed from the Howard County line to the Baltimore Washington Parkway in Laurel. Crews have placed warning signs downstream. “It comes as another crushing blow because, you know, our river now is one of the dirtiest rivers in the Chesapeake Bay and things like this don’t help it,” former Calvert County state senator and commissioner Bernie Fowler told The Calvert Recorder on Saturday after learning of the spill. Precision Turbines Inc., Boca Raton, FL, is being awarded a $30,205,017 firm-fixed-price, indefinite-delivery requirements contract for the procurement of performance-based contractor logistics support for the C-26 aircraft. This effort includes maintenance, repair, engineering, and technical services, aircraft upgrade and modifications, and integrated logistics support services. Work will be performed in Barking Sands, HI (30.4 percent); Sigonella, Italy (25.6 percent); Naples, Italy (25.6 percent); and Patuxent River, MD (18.4 percent). Work is expected to be completed in August 2021. No funds will be obligated at time of award. Funds will be obligated on individual task orders as they are issued. This contract was competitively procured via electronic request for proposal as a 100 percent small business set-aside. Five offers were received. 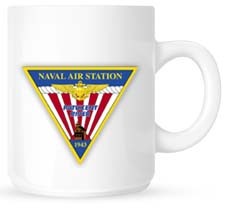 The Naval Air Systems Command, Patuxent River, MD, is the contracting activity (N00019-16-D-0060).